The Lamborghini Huracán was introduced back in 2014 and that means the model is approaching middle age. 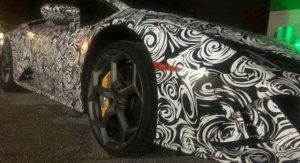 While we haven’t heard much about an updated model, a member of the Lamborghini Talk forums has posted several images of a Huracán Spyder prototype. 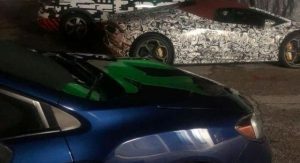 First noticed by Motor Authority, the pictures appear to show a facelifted model that features a new rear bumper with modified vents. 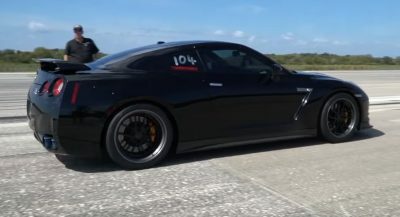 The pictures are a bit grainy, but the car also looks like it has a new diffuser and a larger rear spoiler. The front of the car only partially appears in one image, so it hard to tell how extensive the changes will be. 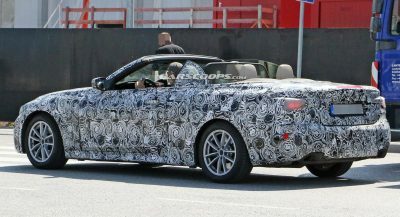 Despite this, the picture suggests the model will have a new front bumper and revised air intakes. 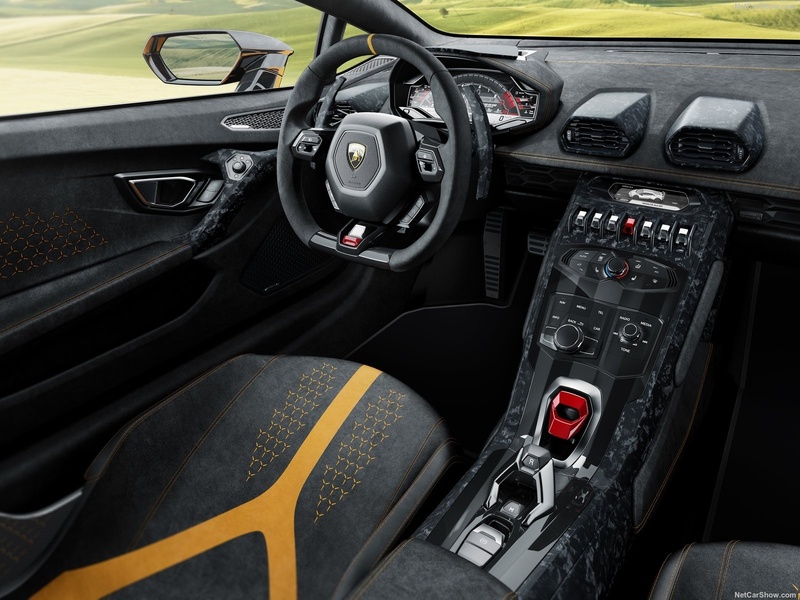 The most interesting images show the interior and this is where the Huracán has a pretty significant change. Beneath the row of familiar toggle switches is a touchscreen infotainment system with a portrait orientation. It appears to replace at least 23 different buttons and three control knobs. While the post only includes two pictures of the display, it mimics the one that was installed on limited edition Centenario. 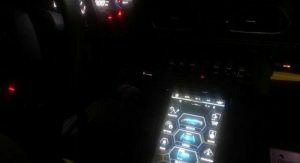 The display also looks relatively user friendly and its home screen provides easy access to the audio and navigation systems. Little else is known about the car, but it’s natural to assume the model will be given a performance upgrade. 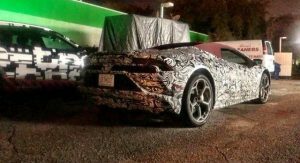 There’s no word on specifics, but the current Huracán has a 5.2-liter V10 engine that produces 601 hp (449 kW / 610 PS) and 413 lb-ft (560 Nm) of torque. 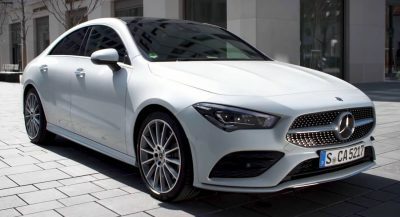 It is connected to a seven-speed dual-clutch gearbox which enables the model to accelerate from 0-62 mph (0-100 km/h) in 3.2 seconds before hitting a top speed in excess of 201 mph (325 km/h). 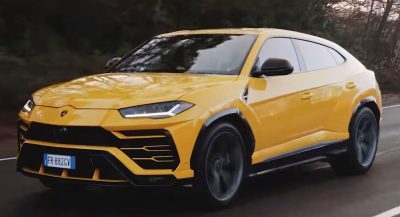 I was wondering what was going to become of Lamborghini once Audi moved away from their switchgear. Tada. Tesla Touchscreen is one of the greatest things to bless the automotive industry. Makes all other cars dated. 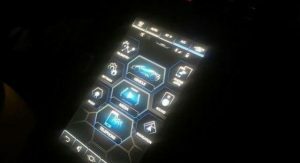 Tesla’s touchscreen is the worst possible way to operate a car, for all but the biggest Tesla apologists. Exactly, I don’t understand the current obsession with large multifunction screen and ditch all the buttons. Great to see Lamborghini adopt Tesla UI. It is the easiest and best way to operate a vehicle. Smartphone is your best friend, right? 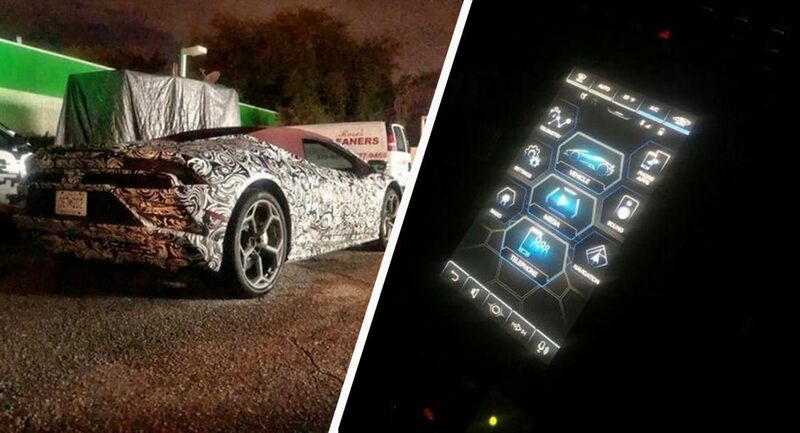 Shame the Lambo graphics / UI look like something from a 20 year old Sega game…. How about the hardtop coupe version? 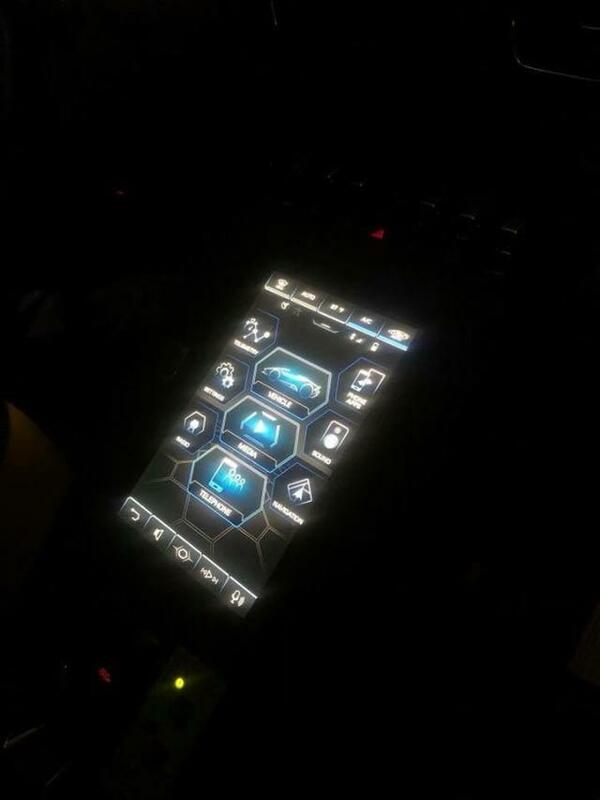 That honeycomb/hexagon interface looks like a cheap videogame. Is Lamborghini tailored only for rich footballers tastes now? I’m not saying that it’s not cool and wow, but there was a time when those kind of cars were fancy and oozing elegance. Now they are just a big nice fast amazing TOY! Let’s be clear – at this point there is absolutely NOTHING high-tech about a touch screen. They’re on everything from refrigerators to inkjet printers. 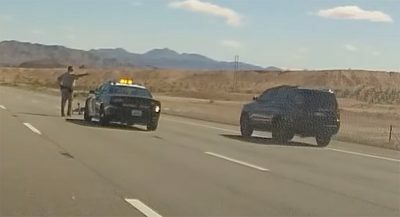 Trying to operate a touchscreen while speeding in a Lamborghini = even more of these things getting wrapped around trees.